With so many water features, fountains and water gardening products available it's a pretty hard to know which one best fits your landscaping needs. While many landscapers and contractors have their own particular products that they promote it doesn't necessarily mean it's the best choice for you. Here at Everything Waterfalls, we have the ultimate outdoor showroom of artificial rocks, custom designed backyard waterfalls and gorgeous prefab ponds that makes an awesome alternative for unlimited water gardening adventures. While we have an unbelievable line of rock ponds and waterfalls it could be a little overwhelming to some. 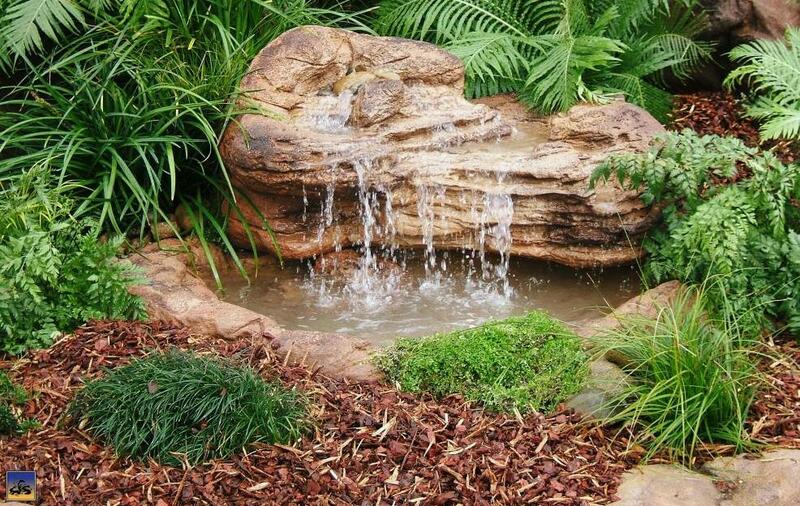 We have for your convenience exciting pond waterfall kits complete with pump, pump cover and tubing. 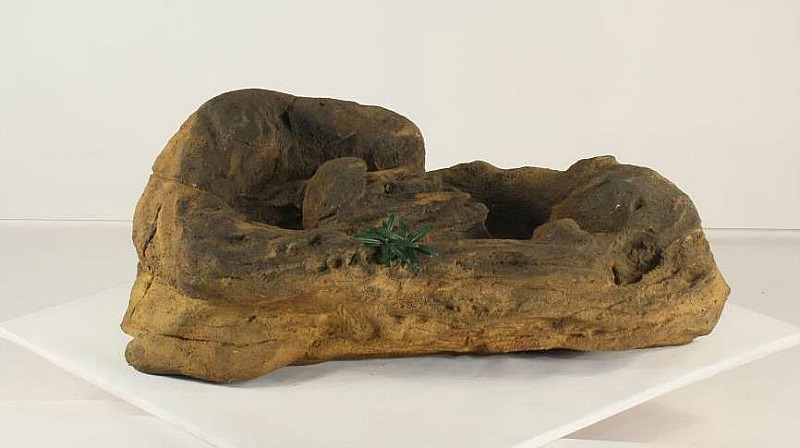 This pond and waterfalls kit The Rocky Crevice starts with our medium rock pond MP-006 that's about 17.5" deep and holds up to 45 gallons of water and even could hold a few small goldfish for the kids. This prefab rock pond does require dirt removal "digging" for pond placement which is still easily done by the diy water garden enthusiast. Our beautiful backyard garden waterfalls MW-009 stands about 20" which includes a 4" edge and has incredible rock detail. 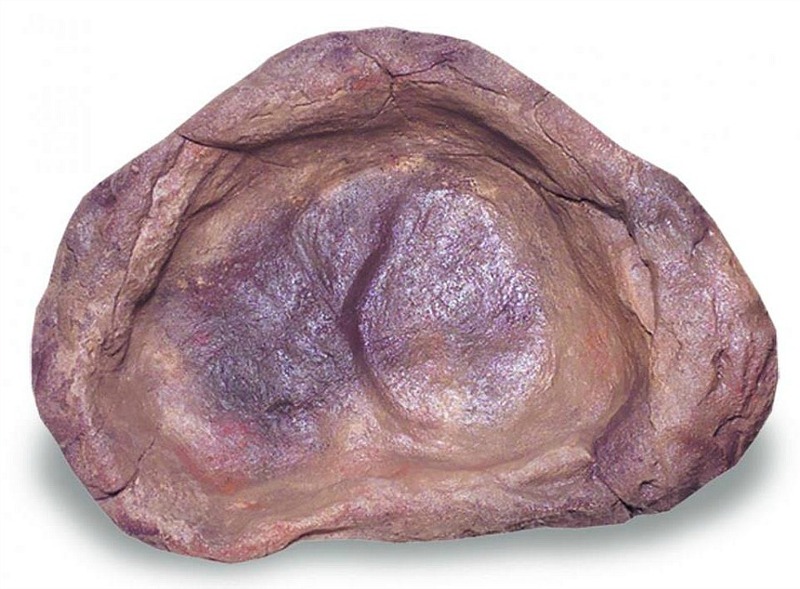 What makes our artificial ponds & waterfalls for the garden & backyard so incredibly realistic? Our outdoor landscape waterfalls are castings from real rock formations showing off nature's incredible beauty and exceptional rock detail from many many years of climate weathering and erosion sculpting. These pond waterfalls are fabricated from a combination of polymers with superb properties and characteristics for the ultimate backyard water garden. Finally our spectacular waterfalls can make your waterfall dreams turn into reality for your very own special water garden oasis. Also an excellent backyard attraction for entertaining & family gatherings while excellent for meditation & yoga for soothing and peaceful sounds of a beautiful waterfalls.